Gourmet brewing - Brewing at a low level of extraction removing 15% to 18% of the soluble material from roasted and ground coffee. Grading - Classifying coffees according to altitude, botanical variety, processing method, density, size of bean, cup quality, color, bean imperfections, and the presence of foreign matter (for example, stones and twigs). Each producing country establishes its own grading standards. Granulation - The most common industry method of grinding, in which roasted coffee beans are passed through a series of rollers. 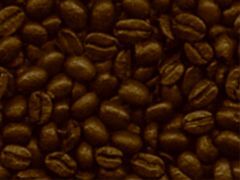 Also, a process used with freeze-dried coffee to convert it into small particles resembling ground coffee. Grassy/Green/Herbal - This aroma descriptor includes three terms which are associated with odors reminiscent of a freshly mowed lawn, fresh green grass or herbs, green foliage, green beans or unripe fruit. Grind specifications - Size of coffee particles (coarse to fine grind) needed to optimize extraction rates for specified types of brewing equipment. Grinding - The process of physically breaking down the roasted coffee bean into small particles, to facilitate extraction of flavor components during brewing. Gustation - The process of tasting, which is made possible by the tongue's ability to perceive four primary tastes (salt, bitter, sour, and sweet) when mixed with saliva. High grown - Coffees grown at elevations from 4,000 to 6,000 feet above sea level. High yield brewing - Brewing at a high level of extraction- removing 22% to 25% of the soluble material from roasted and ground coffee. Hulling - In wet-method processing, mechanical removal of parchment and thin inner -"silver skin" from the coffee bean. For dry- processed coffees, hulling refers to the simultaneous removal of the bean (husk), the parchment, and inner silver skin. Husking - The process of removing the dried pulp from dry-processed coffee. Hydration - The formation of a compound by the combination of water and some other substance in a definite molecular ratio. Hydrometer - A device that determines coffee's soluble solids by measuring the increased specific gravity (density relative to water) caused by adding coffee flavoring material to water. Indirect contact - Hot water extracts caffeine from green coffee decaffeination beans. The caffeine is then removed from the extract with chemical compounds. Often referred to as the "water method." Infusion - A coffee brewing method in which coffee grounds steep in water for a predetermined length of time. Italian Roast - Black color with large amounts of oil on the surface; has a pronounced burnt, smoky flavor that is pungent (strong) and very bitter. Juxtapose - To make a side-by-side comparison of two or more samples. Last impression - An expression referring to coffee as the last item generally tasted in a meal, thus leaving a final image in the customer's mind of over- all food quality and presentation. Latte Macchiato - The opposite of a macchiato; that is, steamed milk marked with espresso. Liquid concentrate - A coffee extract prepared in much the same manner as soluble coffee but kept in a liquid form and held in refrigerated storage or aseptic packaging until reconstituted. Lloyd's of London - A London coffeehouse founded in 1688 and frequented by ships' captains and merchants. Founder Edward Lloyd maintained a list of vessels and their cargo, began to underwrite the shipments, and eventually founded Lloyd's of London insurance company. Low grown - Coffees grown at elevations from sea level to 2,000 feet. Medium grown - Coffees grown at elevations from 2,000 to 4,000 feet above sea level. Methylene chloride - A chemical capable of dissolving and extracting caffeine directly from green coffee beans or from the water in which they soak. Milling - The process of removing the silver skin from the coffee bean, also known as polishing. Mouthfeel - The sensory evaluation of the tactile sensations on the palate (texture). Mucilage - The thin, slippery (polysaccharide) coating on freshly pulped coffee. Nitrogen flushing - A method of packaging in which nitrogen gas is flushed over coffee to displace oxygen in a sealed package. Nose - The sensation of the vapors released from brewed coffee as they are exhaled during swallowing. Nutty - This aroma is reminiscent of the odor and flavor of fresh nuts (distinct from rancid nuts) and not of bitter almonds. Olfaction - The sensory evaluation of volatile organic matter that develops in the coffee bean during roasting. Origin labeling - Describing coffee by the country or region in which it was grown. Other Milds - The ICO grouping of 21 countries that mainly produce washed arabica coffee; the indicator price for this group is used as a component of the Composite ICO indicator price, together with that for Robustas.